Home / Blog / Surviving cancer: how would your finances cope? Last week was World Cancer Day and Cancer Research UK released new figures showing that cancer death rates in the UK have dropped by 10% over the last decade. The big four cancers – breast, bowel, lung and prostate – are essentially becoming less deadly due to early detection and diagnosis as well as advances in treatment. Of course that is great news – no-one diagnosed with any form of cancer will be disappointed to hear that their chances of survival have increased. The fact that one in two patients diagnosed with cancer now survive for at least ten years is definitely something to be celebrated. 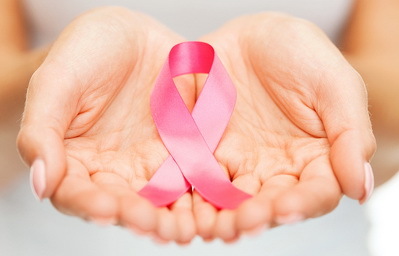 However, surviving cancer is not without its issues for many sufferers. Those who are recovering from cancer or living with the disease face potentially significant changes to their quality of life as well as an economic burden. They may have to cover not only direct costs related to treatment such as doctors’ fees and the cost of medication, but indirect ones such as travel expenses to receive treatment and a potential increase in utility bills as patients spend more time at home. These extra costs often come at a time when income is reduced from having to take time off from work for treatment and recuperation. Some patients get sick pay, many do not. Often, the only solution for families to bear the increased economic burden is to dip into their savings – most often the money set aside to fund retirement. Even a healthy pension pot can quickly be eroded in this way causing financial strain and stress – not conducive to a speedy recovery. That’s why taking out insurance policies to protect you against the risk of serious illness such as cancer is so important. It is a way to protect your wealth and ensure that if you do get the dreaded big C (or any other debilitating illness requiring expensive treatment and extensive time off work) your savings remain intact and your long-term financial plan is not put in jeopardy. The main policies to consider are income protection insurance and critical illness cover. The former will pay you a regular monthly income if you are unable to work due to illness or accident. These payments can cover your day-to-day living expenses such as rent or mortgage, bills, school fees and so on. The latter complements income protection and will pay you a lump sum to cover any costs you might incur with regard to treatment. These kinds of insurance are particularly important for expats who are self-employed and have no company policy to fall back on but even expats with employment contracts should check carefully what cover that they have as income protection is not always offered as standard. You may find you need extra insurance to fully protect your family. A financial adviser can help you undertake a review to ascertain exactly what cover you have and work out if there are any gaps which leave your finances vulnerable in order to make sure that you have watertight protection in place whatever life throws your way. Would you like to learn more about insurance policies that can protect you and your family? The Expat Insurance Consumer Guide provides a wealth of information about peace of mind insurance and provides you with all the information you need before you take out a policy. Download the guide for free here.